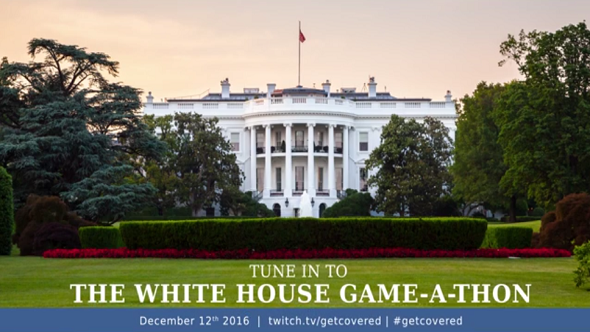 Former professional NBA player Shaquille O’Neal wants us all to tune into Twitch next week to watch some eSports live from the White House. How can you turn down an offer like that? Which of our upcoming PC games list do you think has eSports potential? Thecompetitive gaming event is running in a bid to get people to sign up for health care coverage at HealthCare.gov. According to government stats, a lot of millenials are uninsured, and with eSports now being bigger than even the NBA, this sort of event seems like a good chance to remind that generation what help is available. Lots of people don’t realise, but they might qualify for tax credits on the Health Insurance Marketplace to keep insurance affordable. “In fact, most HealthCare.gov consumers can find a plan for under $75 a month,” says the official post. “Gamers, like everyone, deserve high-quality health care coverage. Engaging the expanding gamer community is part of the Administration’s effort to meet people where they are to help them find a health care plan that’s best for them. You can tune in on Monday, December 12, on the Get Covered Twitch channel.